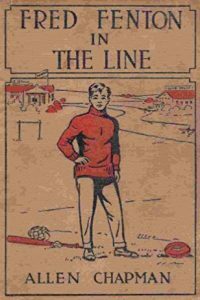 "A line of tales embracing school athletics. Fred is a true type of the American schoolboy of to-day." All the stories are in the public domain and some are available for free on Project Gutenberg and in low priced (often free for Kindle) reprint editions available from Amazon.com. 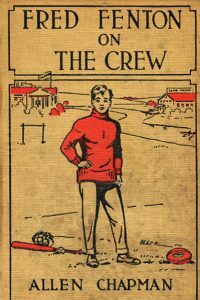 Cream colored cloth binding, black lettering; pictorial front in red & black showing standing boy on an athletic field. Spine has red shield. Dust Jacket: White coated paper, same picture as book cover. Same for all books. 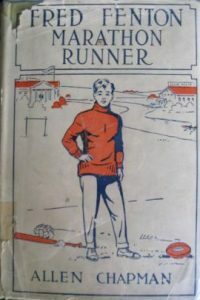 Gray colored cloth binding, black lettering; pictorial front in red & black showing standing boy on an athletic field. Spine has red shield. Dust Jacket: Same as 1. Same as 1 except light yellow binding. 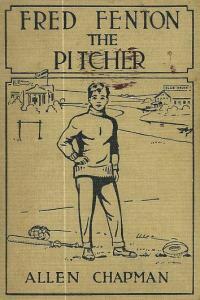 Dust Jacket: White coated paper, color picture of boy being carried teammate's shoulders. Lettering is dark blue or red-brown. Same for all books. Same as 3 except all artwork & lettering in black only. 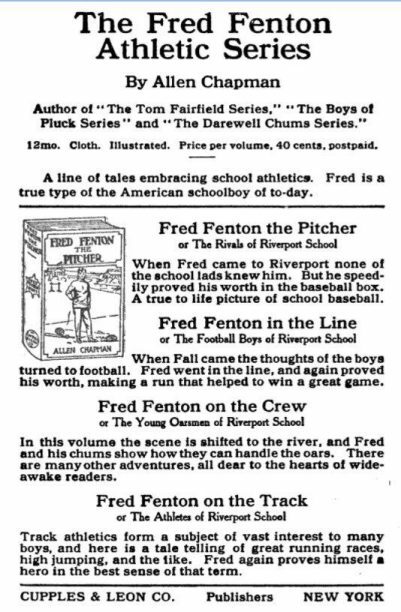 "When Fred came to Riverport none of the school lads knew him, but he speedily proved his worth in the baseball box. A true picture of school baseball." "When Fall came in the thoughts of the boys turned to football. Fred went in the line, and again proved his worth, making a run that helped to win a great game." "In this volume the scene is shifted to the river, and Fred and his chums show how they can handle the oars. There are many other adventures, all dear to the hearts of boys." "Fred is taking a post-graduate course at the school when the subject of Marathon running came up. 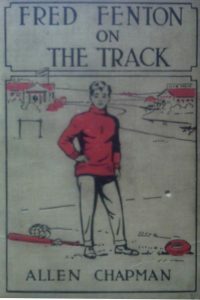 A race is arranged, and Fred shows both his friends and his enemies what he can do. An athletic story of special merit."